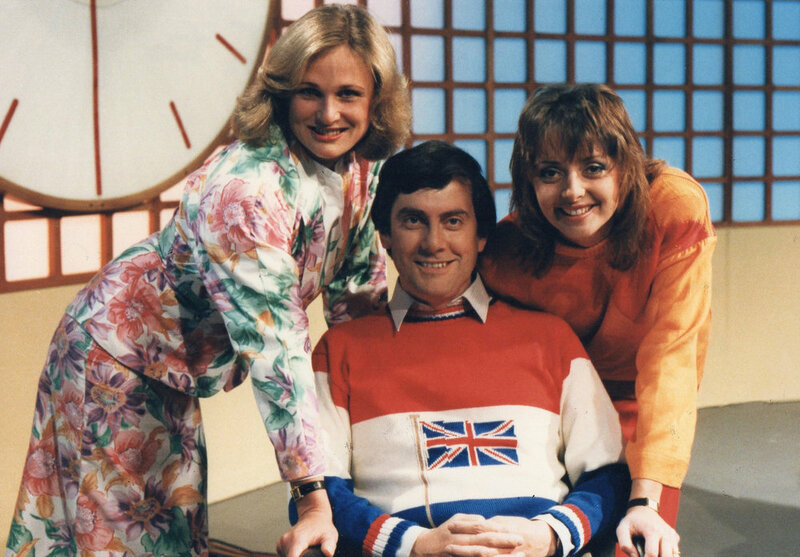 Gyles Brandreth made his first national radio broadcast in 1969, giving a talk on women’s rights for Woman’s Hour. He hosted his first series for BBC Radio 4 in 1971, a panel game called A Rhyme in Time. Since then he has appeared on countless programmes for BBC Radios 1, 2, 3, 4 and 5 Live, including Today, Start the Week, Midweek, Loose Ends, Saturday Live, Broadcasting House, You and Yours, The World at One, PM, Any Questions, Broadcasting House, The Week in Westminster, The Westminster Hour, The Archive Hour, The Brandreth Rules, Sound Advice, Great Lives, Pick of the Week, With Great Pleasure, The News Quiz, My Teenage Diaries - even The Week’s Good Cause. He was a guest on Desert Island Discs in 2011. He has written and presented a wide range of radio documentaries on politics, history, the arts and entertainment – and been nominated for Sony Awards for some of them. Since A Rhyme in Time, the panel games he has devised and chaired for BBC Radio 4 include Funny Peculiar, Whispers and, most recently, Wordahollics. He has made more than a hundred appearances on Just A Minute since 1981 and, in 2018, sat in as chairman for Nicholas Parsons for two episodes. He appeared on Britain’s first commercial speech radio station, LBC, on its very first day: 8 October 1973. 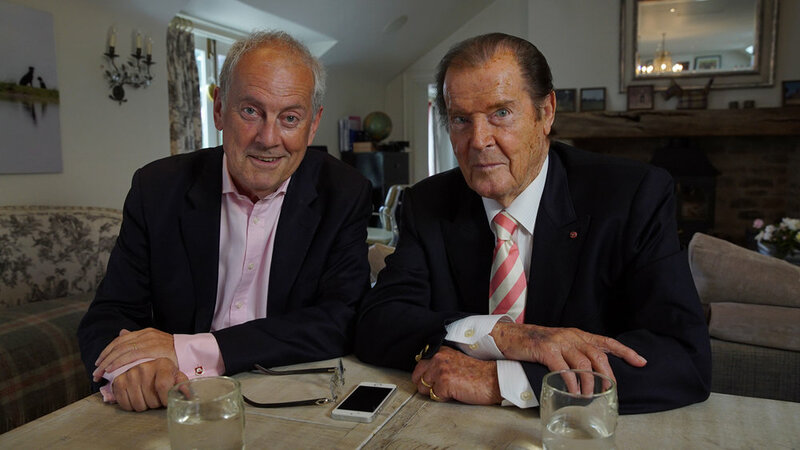 For five years, between 1997 and 2002, he produced and hosted more than two hundred editions of LBC’s weekly arts and entertainment review, Sunday with Gyles Brandreth. Gyles’s guests included: Archbishop Desmond Tutu, Kenneth Branagh, James Fox, John Sergeant, Hear’Say, Carol Vorderman, Felicity Kendal, Richard Dreyfuss, Ronnie Corbett, Britt Ekland, David Suchet, Clare Francis, Sir John Mortimer, Dame Beryl Bainbridge, Joanna Lumley, Henry Goodman, the children of Laurence Olivier, Enid Blyton and Eric Morecambe, Paul Bailey, Josephine Cox, Anthony Gormley, Simon Jenkins, Humphrey Burton, Jeremy Isaacs, Joss Ackland, Mark Rylance, the director of the National Portrait Gallery, the chief executive of the British Library, Clive Francis, Lady Antonia Fraser, Lee Langley, Theo Richmond, Harriet Walter, Deborah Bull, Katie Puckrik, Sheridan Morley, Eric Knowles, Ken Livingstone, Jeffrey Archer, Richard Whiteley, The Earl of Bradford, Martin Jarvis, Fern Britton, Susannah York, Anton Rogers, David Hemmings, Philip Schofield, Tim Pigott-Smith, Anthony Holden, Joel Gray, David Croft, Jimmy Tarbuck, Angela Rippon, Auberon Waugh, Lynda Bellingham, Jilly Cooper, Tom Conti, Su Pollard, Kriss Akabussi, Sebastian Coe, David Troughton, Richard Dunwoody, Richard Briers, Roger McGough, Jenny Seagrove, Uri Geller, Simon Callow, Geraldine McEwan, Prunella Scales, Patricia Hodge, Glenda Jackson, Norman Lamont, Madhur Jaffrey, Barry Cryer, Christopher Lee, Margaret Cook, Michael Aspel, Sir Tim Rice, Sian Phillips, Frederick Forsyth, Prue Leith, Ann Widdecombe, Quentin Crisp, the Duke of Devonshire, Charlton Heston, Christine Hamilton, Kirsty Young, Melinda Messenger, Paul Burrell, Barbara Dickson, Helen Shapiro, Ken Russell, Sir Harry Secombe, Sir John Mills, Sir Patrick Moore, Matthew Kelly, Lorraine Kelly, Michael Brunson, Tony Benn, Twiggy, Elaine Paige, Lord Snowdon, George Melly, Julie Felix, Cilla Black, Jane Asher, Anthony Andrews, Dora Bryan, Roy Hudd, Sir Arthur C Clarke, Melvyn Bragg, Earl Spencer, Lynn Redgrave, Dame Edna Everage, Michael Frayn, Mo Mowlam, Alan Tichmarsh, Patricia Cornwell, the Duke of Edinburgh, Louis Theroux, Sir Ian McKellen, Steven Berkoff. Regular features included: WORD OF MOUTH: The best - and worst - in arts and entertainment: reviews, news, in-depth interviews, writers, critics, actors, directors, from Oscar winners (eight in all) to Nobel laureates (only two actually). STAIRWAY TO HEAVEN: The week’s star interview - from Joanna Lumley to the Duke of Devonshire. A celebrity goes to heaven and reveals what they’ll miss on earth and who they hope to find in Heaven. THE HAPPY HOUR: The Brandreth guide to how to find heaven on earth. Gyles Brandreth first appeared on national television in 1968 when he was interviewed for Panorama by Robin Day. 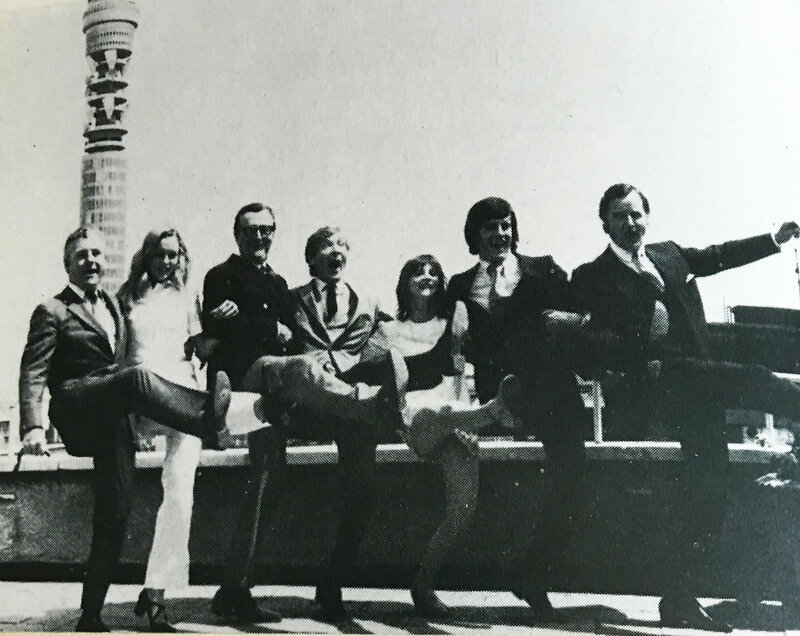 As a student at Oxford in the late 1960s he appeared in TV debates broadcast from the Oxford Union and, for BBC2, took part in Kenneth Tynan’s One Pair of Eyes (directed by Fred Burnley). In 1969 he hosted his own programme, Child of the Sixties, for ITV (directed by Peter Morley). 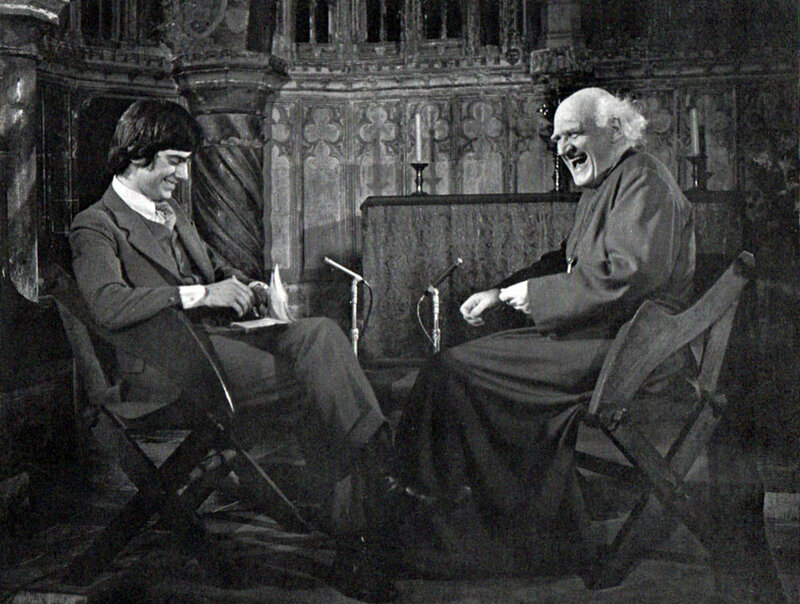 In 1970 he presented his first documentary for BBC2, A Day in the Life of a Cathedral, and his first documentary for ITV, The Saint and the Cynic. In the 1970s and 1980s he appeared in a wide variety of light entertainment programmes and game shows, ranging from Opportunity Knocks! and Give Us A Clue to Spellbound and Blankety-Blank. 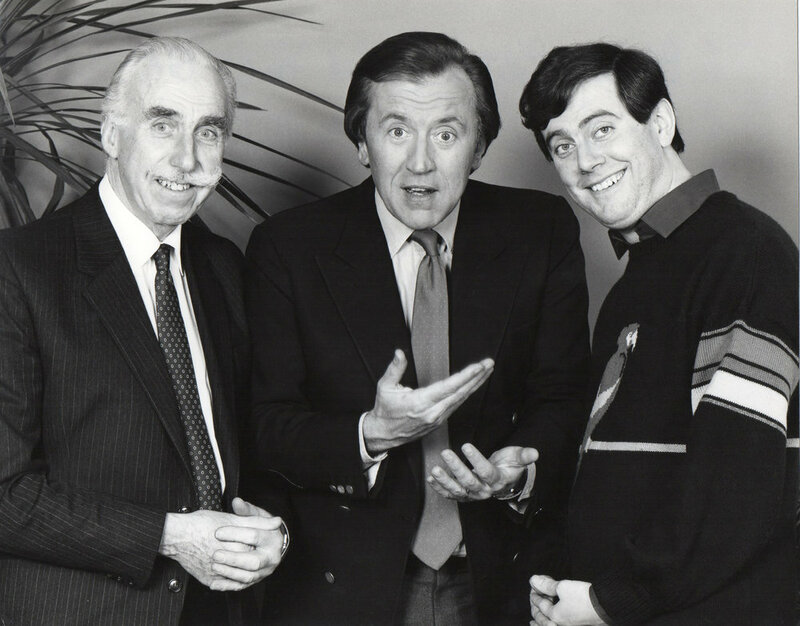 A regular on All Star Secrets and Babble, he was the original host of Catchword, and created the games for Ultra Quiz with David Frost and Vintage Quiz with Derek Nimmo and Patrick McNee. 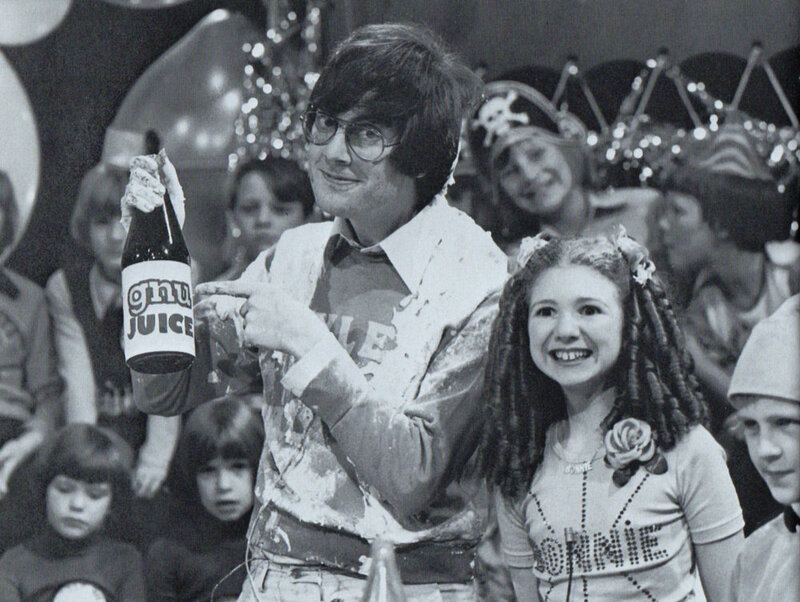 The host of ITV’s Star Quality, the host of Memories (where Diana Dors was his first guest), he was the presenter of the ITV children’s series Puzzle Party (produced by Anne Wood) and his own favourite game show for BBC1, The Railway Carriage Game (produced by Peter Ridsdale Scott). His favourite TV documentary series from the 1980s was Discovering Gardens, (produced by Peter Watson-Wood), which he co-presented with his wife, Michele Brown. For BBC2 in the 1980s he also scripted two series of the situation comedy, Dear Ladies, and two ‘specials’ with Dr Evadne Hinge and Dame Hilda Bracket. From 1983 to 1990 he was a regular presenter at TV-am, the UK’s first commercial breakfast television station. He recorded his first appearance in Dictionary Corner on Countdown for Channel 4 in December 1982. 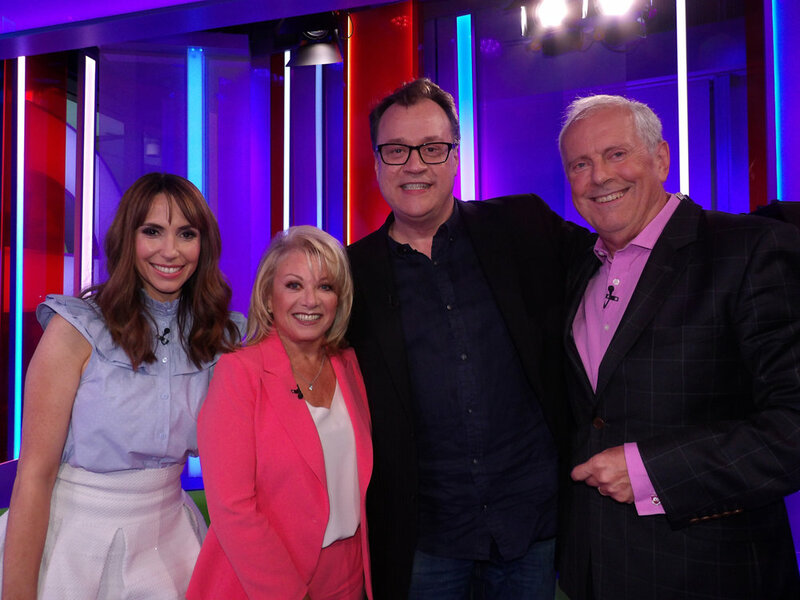 Over more than thirty-five years he has been Dictionary Corner’s most frequent guest, making several hundred appearances, and hosted a special programme to mark Carol Vorderman’s departure from the show in 2008. 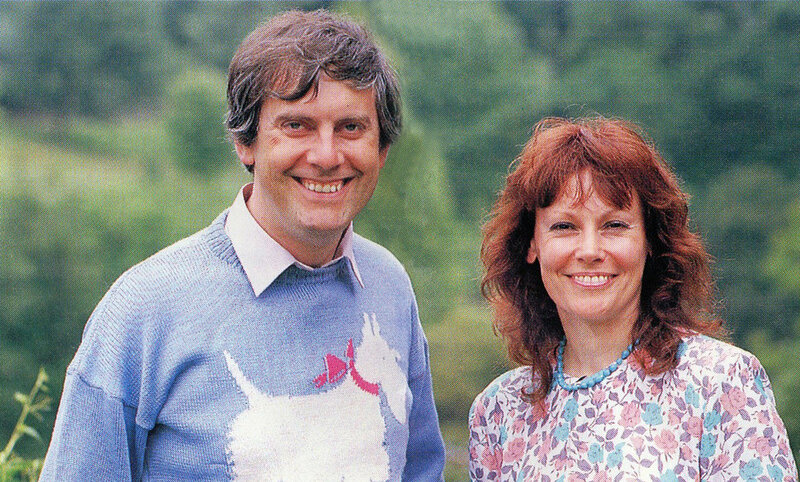 In 1990 Gyles Brandreth gave up his colourful jumpers and took a break from television to go into politics. When he lost his seat in 1997, he returned to TV, making a series of documentaries about politics and public life for ITN Factual. 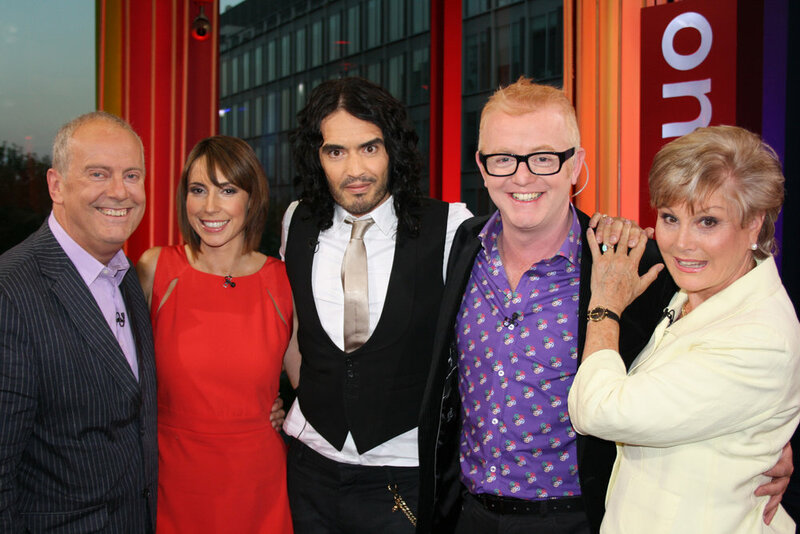 He presented the documentary series Philip & Elizabeth for Channel 5 and hosted Public Opinion for BBC1. For ten years he presented Letter from London for Up to the Minute on CBS News. He has been a frequent guest on Have I Got News For You (and a guest host on the programme) and has appeared on QI, Room 101, The Matt Lucas Awards Show, Celebrity Mastermind, Celebrity Pointless, The Chase, This Morning, Loose Women, Sunday Brunch, Antiques Road Trip, among many other programmes. In 2009 he hosted the BBC2 series, Knowitalls. In 2003 he was the subject of This Is Your Life. Since 2007 he has been one of the family of reporters on BBC1’s The One Show and has presented several hundred reports for the programme from throughout the British Isles, and occasionally co-hosted the show with Alex Jones.